*Lecture & Reception on 12 April 2019, 3 pm. "A Day in the Life of Asian Pacific American"
"A Day in the Life of Asian Pacific America"
12 April 2014: 2-4 p.m.
March 2014, Hours: Tuesday - Saturday, 12 - 5 p.m.
*Exhibit runs from 7 to 29 March 2014 and is curated by Steven Montalvo and opened on 7 March. On Friday, 14 March, 6 p.m. there is a public presentation by the photographer at the art gallery, as well as a community reception for the photographer by the Mexican Heritage Center. Filipino Transnational Migration: Images & Stories from Aklan, Manila & Hong Kong is a photography exhibit by James Sobredo, a professor of Ethnic Studies at California State University, Sacramento. This exhibit presents photographs & stories of Filipinos living in Aklan, Manila and Hong Kong. Sobredo's photographs & graphics art work have been published in The New York Times, AsianWeek and Filipinas. Filipino Transnational Migration is a documentary photography exhibit that highlights the social and economic context of Filipino global migration. The exhibit runs from 21 September 2013 to 25 January 2014. As part of the exhibit, the International Hotel Manilatown Center is also holding panel discussions that will highlight and discuss Filipino global migrations within a social-economic and political context. 1. PANEL: Saturday, 19 October 2013, 3 - 6 p.m.
TOPIC: "Social History & Documentary Photography"
Topic: "Documenting Mexican Farmworkers in San Joaquin Valley"
"Changes in Hong Kong Society: Before and After 1997"
"Documenting Filipino Workers in Manila and Hong Kong"
2. PANEL: Saturday, 16 November 2013, 3 - 6 p.m.
TOPIC: "Filipino & Asian Global Migrations"
"Historicizing Filipino Nurses and Asian International Adoption in America"
"Braided Narrative: Viola & Rizal's Special Friendship in Europe"
"Filipino Transnational Migration: Socio-Economic Context of Filipino Labor in Hong Kong"
3. PANEL: Wednesday, 19 February 2014, 6 p.m.
TOPIC: "Spiritual Journeys through Organic Farming"
"Angels in my Backyard: A Spiritual Journey through Gardening"
"Shumei Natural Agriculture: A Spiritual Journey"
"Photographs of the De Castro Farms in Tanay, Rizal"
This photodocumentary exhibit is a result of the thousands of photo images I shot and the numerous interviews I conducted while lecturing and doing research in the Philippines and Hong Kong from January to May 2013. As a university professor, I teach about the social, political and economic context of the global migration of Filipinos. Filipino Transnational Migration: Images & Stories from Aklan, Manila & Hong Kong is a way of sharing my work as a scholar and photographer. My specialty is social documentary photography where I try to capture the "essence" (in the Henri-Cartier Bresson sense) of the "moment." I feel like I'm capturing snippets of space and time and always looking for that "decisive moment," which is often very elusive. I also like landscape photography but those are considered "pretty" pictures, and the prejudice is...they are not worthy of being exhibited and might even be considered kitsch, but I still love landscapes, and spectacular sunsets continue to amaze and move me, especially when viewed from my sailboat in Sausalito. I have been photographing the Filipino community in the United States (California, Hawaii, Washington and New York), the Philippines, Hong Kong, Italy and Spain for over 23 years. My photography and graphics have featured in books and national magazines and newspapers. Friends often ask, "What do you do with all those photos?" This exhibit is one answer to that question. Mostly, the photos I have been taking are used in my classroom teaching at California State University and my public lectures in national and international conferences. I would like to thank all my friends who have been supportive of my photography work through all these years, especially my partner in life, Lou Sobredo, and my partner in photography, Steven Montalvo. Many thanks also to my relatives in the Philippines (Auntie Lucy, Uncle Mel, Zenith, Joyce, Marianne, Uncle Rey, Tish & Gee, and Eileen Tawatao Garcia), to my friends (Oliver Pe and Lito Buenaventura), and to my colleagues at the University of the Philippines in Diliman, especially to Dr. Jaime Veneracion and his wife Dr. Cora Veneracion, Dr. Ferdie Llanes, and Dr. Elizabeth De Castro and Antonio De Castro. Muchisimas gracias to my friends in Madrid, especially to Ruben and Noelia for hosting me in their lovely home and to my Bahala Na Filipino martial arts brothers, Antonio Martinez Latorre and Jose Enrique Hernandez Matesanz. Special thanks to Ms. Evelyn Luluquisen (Executive Director of the Manilatown Heritage Foundation) and Matthew Lew (staff at Manilatown Center) and most especially to Steven Montalvo my partner in photography. 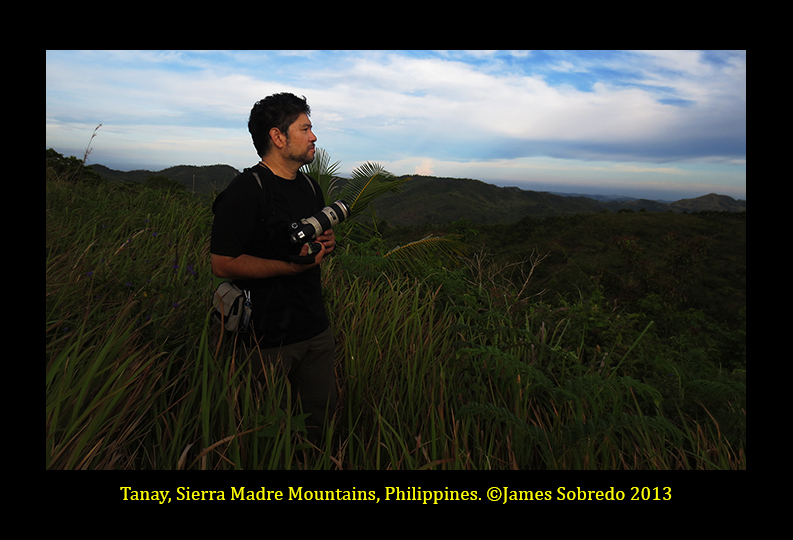 And to Lou Sobredo, who has been supportive of my adventure travels and photographic works through out all these years. Finally, maraming maraming salamat to all the Filipino women who consented to participate in my oral history intereviews while I was in Manila and Hong Kong. I am truly humbled by all the sacrifices you make to support your families in the Philippines. Thank you everyone for attending the panel on Filipino Transnational Migration at the International Hotel Manilatown Center (19 October 2013), and esp. to Steven Montalvo and Dr. Greg Yee Mark for being on the panel and giving presentations. Thanks to all the Sacramento State University students for commuting all the way to San Francisco to attend the panel. Special thanks to Vangie Buell for her inspiration and for being there to meet Sacramento State University students--they are reading your book for my class on Filipino Americans. Maraming salamat to Evelyn Luluquisen, Matthew Lew and Ronald Nogra for helping with the event, and most of all many many thanks to Lu Sobredo for all your help and support. In the summer of 2013, I hiked and backpacked the Camino de Santiago for the second time and covered over 1,000 kilometers on both the Camino Frances and Camino de Portugal. During the entire journey to Santiago, I never hitched a ride, took a taxi or take a bus to the next town. I hiked every inch of the way of the Camino de Santiago. I wanted to start in St. Jean-Pied-de-Port in France but in keeping with good, safe travel habits, I checked the weather report before beginning my journey. To my surprise, the weather report was forecasting snow in the Pyrenees in late May! Given my health challenge and my age and my ultimate goal of sailing long-distance, prudence told me that I should make decisions based on good judgement and to always make decisions based on safety-first, now and in the future. It's always about safety-first. To paraphrase one of my favorite war photographers, no picture is worth losing your life over... In a similar manner, none of these adventures are worth risking your life. In practice, this meant that one does not mess with Mother Nature and one should make prudent decision-making a habit and a normal part of life--this is especially true for sailing in the ocean where lives are lost on a regular basis, especially for those who take unwise risks. Thus, given the weather forecast, I decided to start at Roncesvalles across the border in Spain instead of France. In retrospect, it was the correct decision since the next morning we had white-out conditions in the Pyrenees. The snow fall was so thick that the mountain pass was closed; nevertheless, some people went ahead and headed for the trail and were caught in the snow storm... and a few pilgrims eventually needed to be rescued. I met some of the rescue volunteers later in Navarre, and the stories of people needing rescue were not exaggerations. There were even rumors that a fatality occurred during the snow-storm, a rumor that I heard many times but could not verify. A few days later, I met a pilgrim from Eastern Europe who had the look of fear in her eyes as she recounted how she got caught in the snow-storm. She said, "I thought I was going to die." Like some pilgrims, she was expecting warm weather and had not dressed properly. When she got caught in the snow storm, she really thought she was going to freeze to death, and she felt so lucky to be rescued. On the other hand, I came prepared for cold weather (including snow) and remained quite warm for most of the trip. But after 8 hours of relentless freezing snow conditions, by the time I reached my destination, I also felt very cold and freezing--but I was not fearful about freezing to death. Important lesson of the day: Don't sacrifice going "ultra-light" for safety. Always carry the "essentials" for a safe backpacking journey and always respect Mother Nature. St. Jean will aways be there and one can always return and hike it the next time. I look forward to more long-distance backpacking journeys, and I will continue to adhere to the mantra of safety first. James Sobredo is an associate professor in the Ethnic Studies Department, Asian American Studies Program at California State University in Sacramento. He has a Ph.D. in Comparative Ethnic Studies from the University of California at Berkeley, an M.A. in Ancient Greek Philosophy from Bowling Green State University where he worked with Dr. Fred Miller and a B.A. in Philosophy from the University of Washington where he was mentored by Dr. David Keyt and Dr. Kenneth Clatterbaugh. His photographs and graphics work have been published in The New York Times, AsianWeek, Filipinas Magazine and other newspapers and books. If he had to do it all over again, he would have gotten a Ph.D. in economics and followed along the path of the Brazilian social documentary photographer Sebastião Salgado, an economist with the World Bank who left his job and now spends a large part of his life photographing and working with disenfranchised, poor people around the world. A Filipino by birth who speaks Ilonggo, Aklanon and Tagalog, he lives in Stockton (the original Filipino American community in the United States) and in Sausalito where he lives on his sailboat. He is a practitioner of Vipassana Buddhism. Sobredo is also an avid long-distance hiker, and in 2013 he traveled around the world with a backpack and completed over 1,400 kilometers backpacking and hiking in the Philippines, Cambodia and the Camino de Santiago in Spain and Portugal. He shoots using Canon EOS bodies, a Canon G15 and a Canon 110HS point-and-shoot (the latter broke in a snowstorm with white-out conditions in the Spanish Pyrenees) and lenses from 17-35mm f/2.8, 24-70mm f/2.8L, 70-200 f/4L and 80-200 f/2.8L IS.